Steps to setting a great outdoor table! - Great ideas for enjoying your patio space. 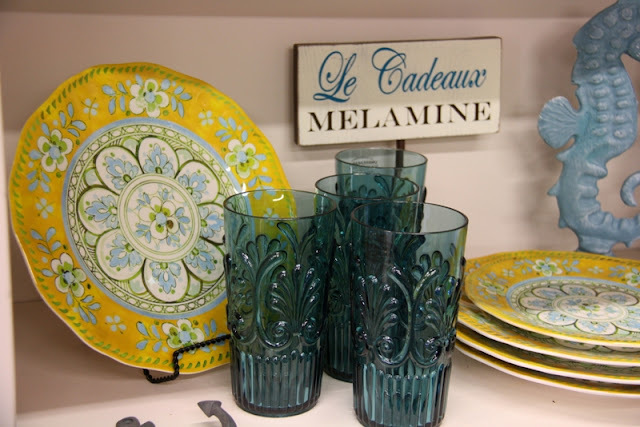 Your table can be party ready in just a few easy steps!! 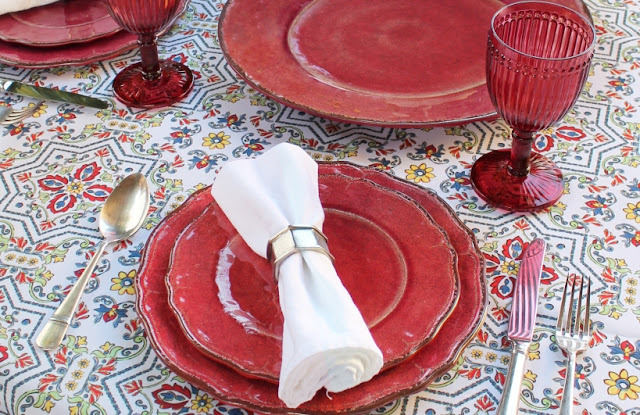 Two: Coordinating place mats & napkins add even more festive color along with some fabric softness for outdoor dining. Out on the Patio carries an amazing brand, My Drap, that comes on a convenient roll. Three: The centerpiece, or centerpieces! Why stop with just one? Flowers on the table are almost required for color and fragrance. Really, anything can be used as a centerpiece the only rule is to keep your centerpieces low enough for your guests to see who is sitting across from them. Layering high (remember, not too high), medium and low is a good place to start when using more than one item. Light features such as some of the many different styles of lanterns available at Out on the Patio are a must for evening parties. Four: Serve the drinks! 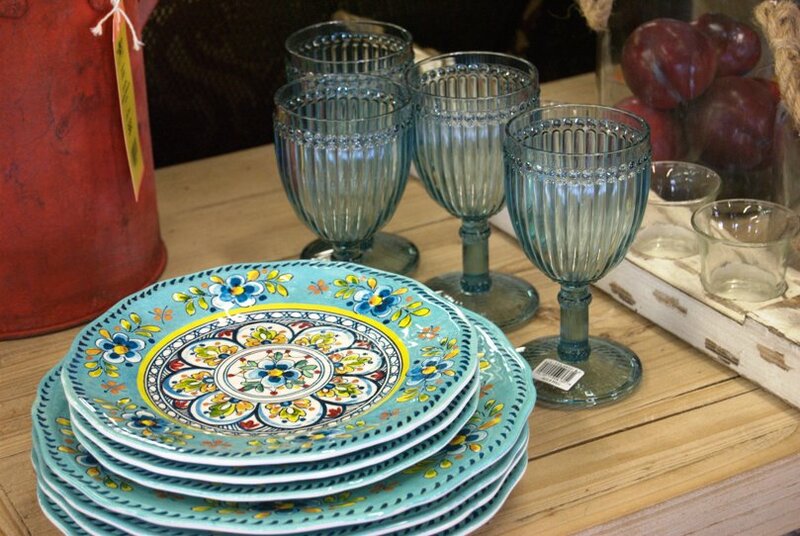 Beautiful jewel toned unbreakable stemmed drinking glasses and pitchers, from Out on the Patio, will welcome guests to your wonderful table.